Come Join free-light at the Stouffville Home Show! 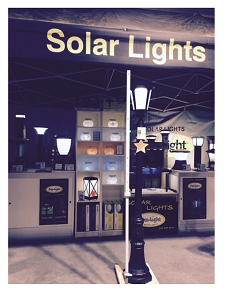 See free-light Solar Lighting products at the Stouffville Home Show, Stouffville Arena, Whitchurch-Stouffville, May 1-3. There will be live demonstrations, children's activities, and naturally, free-light solar lighting products for home, garden, cottage, deck, dock, pool - and table. See our stunning array of affordable, high quality solar lighting product and enjoy the glow!